This is what I call a Facebook Wall photo gift. 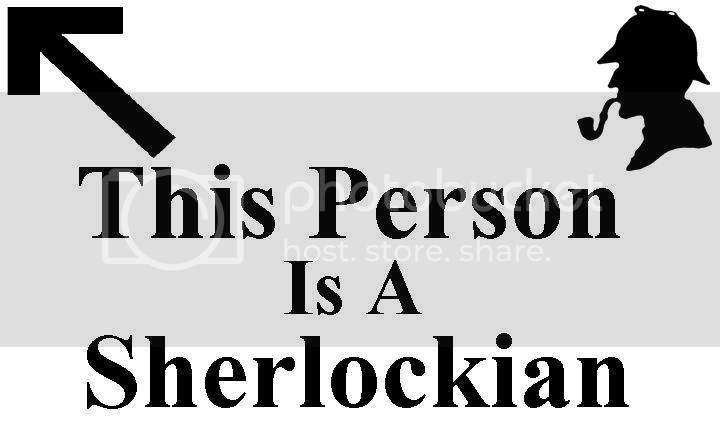 A Sherlockian friend named David shared a picture with text saying, This Person Is A Sherlockian. Since David only shared the photo, the original creator is a mystery. However, I decided to take this concept and make my own picture for fans of Basil. All you do is Upload it as a Wall Photo without any description. Enjoy! After three years of being the web mistress here, this is just a little something I created to say Thank You to everyone for your wonderful support! A holiday image created by me to wish you all a very Merry Christmas! Gift from Ruben Procopio at San Diego Comic Con '09! A lovely gift from Kira of some quotes and photos with Basil! Basil of Baker Street in silhouette profile. Available for personal use only.